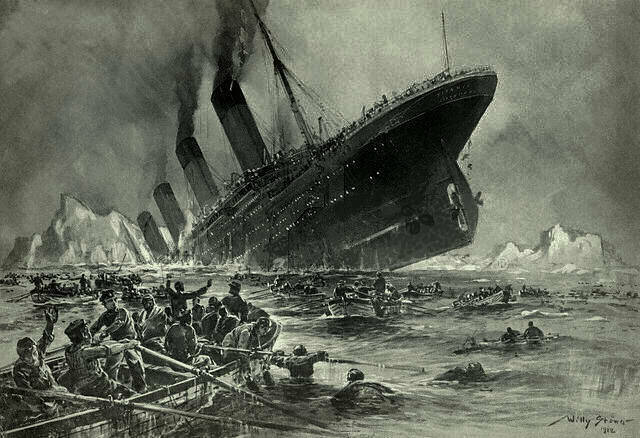 It was a moonless night in April 1912 when the pinnacle of ocean travel technology and luxury, the RMS Titanic, collided with an iceberg in the North Atlantic, resulting in the deaths of more than 1,500 passengers and crew. A primary cause of the tragedy was that the captain and crew did not heed multiple warnings from other ships about floating ice, and lacked confirming data. In a similar way, local governments face hidden organizational icebergs such as deferred infrastructure maintenance, unfunded fiscal liabilities, underperforming programs and personnel, unfunded capital needs and many others. And, like Titanic, governments plow ahead at full speed because the need for citizen services rarely abates. They may hear warnings about looming problems, but lack the data that can serve as the basis for proactive decision making. What is the answer for local government managers who want to prepare to avoid these organizational icebergs? In 1912, a ship’s captain had no sonar or radar to detect danger lurking below the surface out of sight. Local governments create and store large amounts of data that can provide insights into pending problems, including financial, performance, maintenance, crime, work order, GIS and many other data types. Typically, this valuable data just sits below the surface and is rarely used for any meaningful purpose. So what is the sonar and radar for data? It is technology that can access, clean and integrate the data, and business intelligence and analytics that can reveal what is occurring now and what will happen in the future. A good example of this is water line replacement. Cities spend millions of dollars every year on this problem. But often, replacement only occurs after a catastrophic failure, which results in additional expense, potential environmental impact and damage to public confidence in local government. The indicators of these impending failures are hidden in the city’s data but too often go unheeded. Those icebergs are composed of data on things like soil composition, pipe material, construction, maintenance, weather, pressure, etc. If those data elements could be integrated and cleansed the city could have a complete and accurate picture of its water distribution system. The variables which indicate likely failures could be identified and the most at risk areas could be prioritized. These potential catastrophic problems which are literally below the surface could be solved before disaster occurs. This is another clear example data quality, data integration, business intelligence and predictive analytics when applied to everyday business problems can not only divert disaster, but save time and money, as well as, contribute to building confidence in local government management. Bill Coleman works with SAS local government customers across the US to understand best practices and solutions. 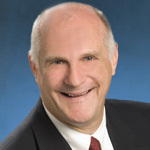 Coleman applies his more than 30 years of experience as a senior leader in city and local government to guide SAS product and marketing management. From 1994 to 2008, he served as Town Manager of Cary, NC, the seventh-largest municipality in the state with a population exceeding 130,000. Coleman was responsible for planning, organizing and directing municipal operations, which included more than 1,000 employees and 11 departments providing a full range of municipal services. Under his leadership, Cary was the first municipality in North Carolina to work on performance enhancement system. The system was designed to help the town maintain its high quality of life by improving resource allocation and operational efficiencies throughout town government, beginning with the areas of public safety and development services.